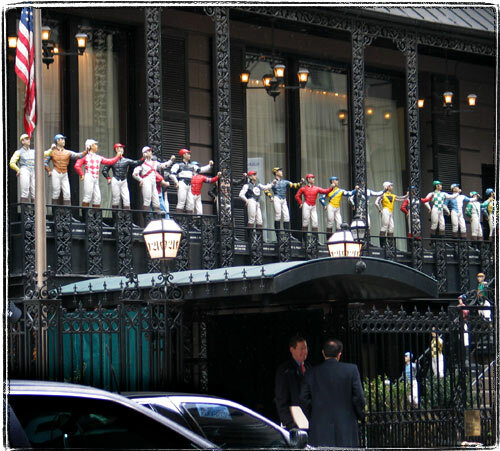 Immediately after landing in Manhattan, the delegation form Lawn Jockey planet demanded to see our leader. Interesting, this ubiquitous lawn ornament seems to have an interesting history. It’s also interesting how almost all Jockos I’ve ever seen in New York (including in this stunning collection) were white. And I’ve seen a lot of them when I had a job delivering ad papers in many neighborhoods of Brooklyn. (Yes, I delivered paper spam).